This week RE/MAX of Nanaimo is introducing iBoards- for RE/MAX of Nanaimo Realtors only. With over 100 Realtors and constantly more than 50% of the market share, we sell many of our listings to other RE/MAX Realtors. iBoards will help maximize this advantage in today’s market conditions. When the really sweet listings come on the market, they are selling very fast. It is advantageous for our Buyers’ Agents to hear about new listings early – before they are published on MLS. Of course, it is one more unfair advantage for Sellers who list with RE/MAX of Nanaimo too. 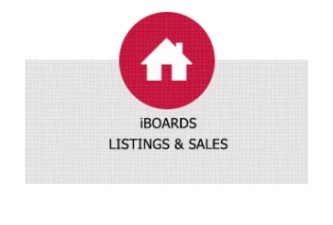 iBoards is yet another great way to promote new listings! With the iBoards app and immediate notifications, iBoards will keep us all informed with the latest action on the market – giving our Buyers and Sellers one more unfair advantage.